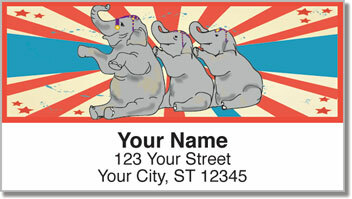 Put the fun and excitement of the circus on all your outgoing mail! 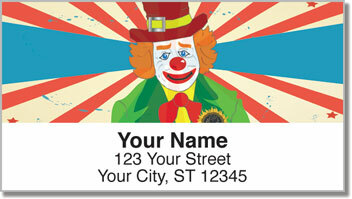 These eye-popping return address labels feature some of the best parts about the action under the big top! You'll find a silly clown, flying trapeze artists and even a trio of elephants performing tricks! 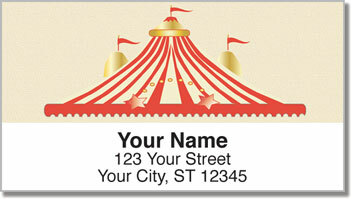 Circus Act Address Labels from CheckAdvantage will amuse everyone on your mailing list while adding playful personality to each envelope. We know that sometimes your life can seem like a three-ring circus! That's why we're happy to offer a product that makes things just a little easier. A self-adhesive backing on your new labels means you'll save time preparing letters and packages! 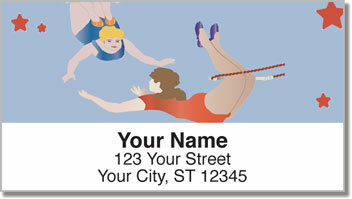 Get your very own Circus Act Address Labels now! Complete your order with matching checks.